Today has been absolutely hectic and I haven’t had the chance to write a proper review or blog post… apologies! As it’s 10pm, I thought I’d recap on my makeup of the day – it seems to have gained a lot of praise on Instagram for a rushed 6am look. 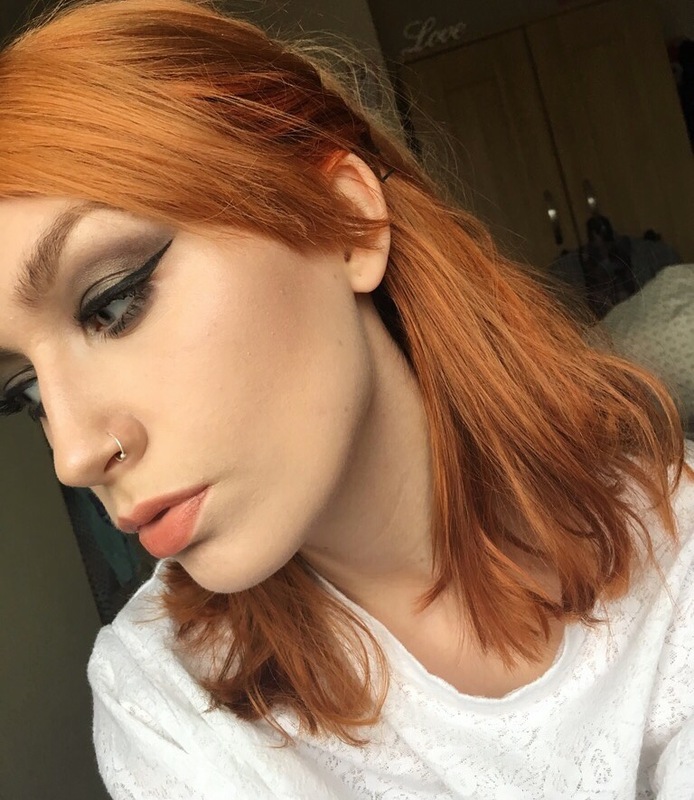 With ‘GreenStars’ along the lid and ‘Cafe Noir’ blended into the crease (both from the Makeup Revolution Flawless palette), I completed this eye-shadow look with a cream shade from my go-to Benefit neutral palette. Let’s talk about that liner, as per usual I used the Rimmel Exaggerate liquid liner, applied using masking tape as a guideline. That’s eyes recapped – other products I used for this look include: the Urban Decay ‘Aura’ Highlighter, Revlon Colorstay Foundation, Mac Foundation and Powder, No7 Bronzer and Anastasia Beverly Hills eyebrow gel.